Every Hire Truck/Tempo company associated with LogisticMart goes through extensive background inspection before we register them with us. We only connect verified and reliable Truck/Tempo companies of Noida. In Last 25 days as of Apr 26 2019, LogisticMart has incorporated more than 4692 requests just in Noida. For each request we do a follow-up call to ensure our customers experience has been worthy. Service is a brand name in the logistics industry that offers the best tempo for shifting in Delhi. It has a team of professional experts who pack goods with great packaging material so that there is no damage to your goods. This tempo service provider has years of experience in moving goods under bad weather conditions as well as areas such as Malviya Nagar, Uttam Nagar, Janakpuri, Dwarka, etc. and NCR areas. If you are looking for a hassle-free moving solution, this tempo service provider is the perfect platform. I opted for the services of M R K Tempo Services for relocating from Chattarpur to Malviya Nagar. The best part is that they have given me a cost estimate after surveying the scope of the work and the final invoice was exactly the same. There were no hidden charges and I really appreciate their fair pricing. There were no compromises in the quality of work and the entire team was also very punctual. The TAT was as per the idea given by them. I am happy with their services and highly recommendable. tempo services in Gurgaon. This tempo service provider brings reliable moving solutions in the safest manner. It understands how to pack, load, move and unload goods that bring authentic moving solutions. Shree Shyam Tempo Services understands the true value of your goods and bring the most professional services like online truck booking in Gurgaon. This company is located at a prime location Block A, Ashok Vihar Phase III Extension, Gurugram, Haryana 122017 which is quite approachable. I had a requirement of cargo transportation from Gurgaon to Kolkata for business dealing. This was obviously a time-sensitive consignment for me as it had to reach the client on the committed time. I was really apprehensive on choosing a dependable cargo carrier. I opted for Shri Ram Tempo Relocations and the experience was really good. you want to hire a mini truck in Gurgaon. This tempo company has spread its wings with services such as packing and moving, warehouse services, pet moving facility, home relocation, commercial shifting services, etc. knows how to move goods from one destination to another without any damage. This company has extremely skilled staffs who take extra safety measures to pack and move all your fragile items in any weather conditions. You can also opt door-to-door and also pick up and delivery option as per what the customer prefers. Satyawan Tempo services have been offering me impeccable tempo services in Delhi for a long time now. They have been my logistics partner for my business and I am really satisfies with the way they work. Their fleet of vehicles is always well-serviced and has optimum speed. They have a deep inclination towards customer service and have been instrumental in providing the punctual deliveries to their customers. I would love to continue this association for their great services. tempo service provider is committed to providing a top-grade quality packaging material for every customer. I have used the services of Hari m Trans Cargo & Packers for my household shifting recently. The entire crew is well-aligned to provide the best of the relocation services. They have the ability of overcoming all the challenges with vigor and have proved to be a great service provider. They used the superior quality packing material for extra safety and the pricing offered by them is quite reasonable and better than their counterparts. I would rate them 4 out of 5 for their great services. Hari Om Trans Cargo & Packers being one of the impeccable tempo service providers in Bangalore is certainly a renowned name in the logistics industry. They have been a tempo vendor for my business’s logistics requirements. I have been more than happy to receive their tempo services for several months now. I would rate them 4.5 out of 5 for their dedicated services. Service offers an array of services such as commercial shifting services, tempo services, warehouse facility, local household shifting, air cargo, pet moving facility, moving electronic goods, etc. This moving company brings reliable tempo services in Bangalore in areas like Jayanagar, Lalbagh Botanical Garden, Kumaraswamy Layout, Banashankari, RK Puram, etc. I have heard MRK Tempo Service as one of the reliable packers and movers in Srirampuram, Bangalore. I received their recommendation from a friend and decided to try them out during my recent house shifting. Their relocation services are the best I have come across till date. They have conducted the entire task with extreme care and have been very caring while doing the job. All my furniture and goods were delivered to the destination without even a scratch. I am really happy and would recommend their services. tempo services in Delhi that offer reliable shifting solutions. This tempo service provider has a team of professionals who are extremely genuine and energetic to help you move your valuables anywhere in India. This team specializes in moving, relocation and transporting your items using top-class safety measures. Galaxy Packers and Movers provide flexible moving solutions where you care hire a mini truck in Delhi and move your goods. Galaxy Packers and Movers is one of the renowned tempo services in Delhi and are based out in Lajpat Nagar. Owing to their immense good will, I booked their services to shift my home from Lajpat Nagar to Sheikh Sarai Phase 2. The overall experience was really good and I agree that I have made a wise choice. The entire team is quite energetic and has been very sincere in delivering their services. I am happy about the overall experience and would recommend them. Galaxy Packers and Movers have been great in helping me in my home relocation from Lajpat Nagar to Defence Colony. They have the best and well-maintained fleet of vehicles for relocation and there were absolutely no harm done to any of my furniture. I can conclude that their shifting services are absolutely reliable and I would certainly opt for their services again in the future. I would like to rate them 4 out of 5 for their excellent services. offers competitive shifting rates that encourage shifting seekers to opt for this service. I opted to hire the local home shifting service of Sona Tempo Service base out in Gurgaon. I was enthused by their way of working as the crew was competent, their fleet was well-maintained and they used the superior quality packing materials. The entire work was done successfully and I would rate the team 4 out 5 for their commendable work. Cheers to the team! What is primary benefit you will experience after hiring truck rental company? Transportation of goods no doubt involves hectic schedule and packing and moving different parts of the vehicle. Whether the move is local, long distance or international goods transport services, the truck rental service providers in Noida acquire all the expertise to handle simple to most demanding relocation moves thereby taking off all the burden of moving to hire truck or tempo for shifting in Noida. 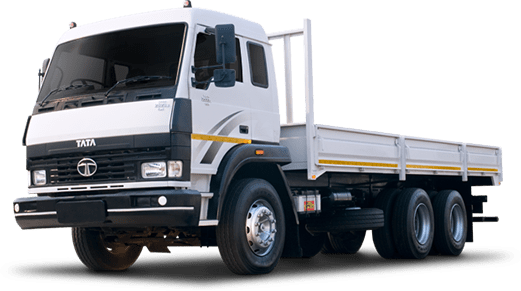 How to determine the reliability of the truck rental service provider in Noida? It is quite necessary to go through the review ratings of the truck rental company in Noida. This will help you greatly to understand the credentials of the company. If you find the testimonials to be favorable and most important the charges of the company suits your financial capability, then it is clear that you will get the high quality services, which will really make you a lot happier. What are basic aspects that professional mini tempo companies must have? Verify every detail such as time they will take, any other charges if they charge, security measures taken by the mini tempo company and other such important details. You can easily find different truck hire companies in Noida, which offer facility of free vehicle listing online. Visit any of such website and check out the updated list of goods transportation. Nowadays all over India, logistic solution teams are running on a system with technology as its backbone. With a solid technological infrastructure, LogisticMart is able to provide shifting facility to all major cities such as Noida as well as intercity shifting. With the perfect merge of technology and physical factors like truck on rent in Noida, good drivers and other value added services, it ensures to meet customer satisfactions every time. So, without wasting any more time, download the LogisticMart mobile app and start using its transporters in Noida for hassle free shifting across India. Is Hiring Vehicles for Shifting Easy These Days? It is becoming quite challenging these days to book mini truck in Noida or a truck for shifting goods for business purpose in a hassle free manner. Any company from any sector, be it FMCG or Automobile industries always are in requirement of proper logistics and shifting services for their business to keep running. When it comes to logistics, companies tend to face various problems. Traffic can prove to be a hindrance in reaching the pickup point in time and it in turn affects the whole customer experience as the poor service results in an unsatisfactory experience. If the co ordination between the shifting service providers and the customers are lacking, chances are high that they lose out their valuable customers. There are several other factors playing a role here such as lack of understanding about the shipment status, availability of vehicle on an immediate basis, behaviour of the driver, skyrocketing cost , unsatisfactory customer service, inefficiency in selecting a proper route and several such issues are faced by companies while they try to deal with shifting services and logistics. To solve these issues you can hire Chhota Hathi in Noida through LogisticMart which is a tech based logistics service provider that can give shifting facility, automated updates, tracking solutions, healthy customer service, decent driver behaviour, unlimited backup vehicles and many other valued added services at minimal cost thus ensuring that the business runs properly and the productivity and efficiency always follow an upward trend. 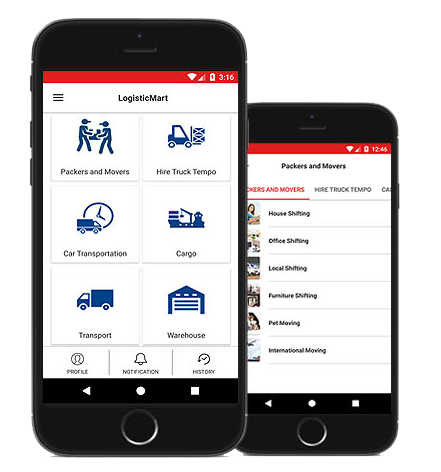 If you are eager to try these services but not sure about how to join, then just simply download the LogisticMart mobile app. Cost – Is truck rental in Noida affordable or value for money? We need to compare different companies offering cost, because customers often get foxed by the various hidden costs. Generally various companies put on lesser prices in their apps or sites to attract more customers, but the final bill gets much high because of those hidden charges. At LogisticMart, the transparent pricing we give you a proper idea of the reasonable truck rental rates in Noida. Tech – Better technology ensures better transparency and convenience. It also reduces the dependency on human intervention, so we don’t need to call customer care and then wait for an eternity to get an answer from them. Technology ensures that we get the answers to all our queries at the instant through the application of LogisticMart. Reliability – This is a very important factor, because generally most companies that aid in shifting claim to give the cheapest service of tempo and we get tempted because of the low cost but then end up being unsatisfied because of the lack of reliability. Customers should go through previous customer feedbacks to check the reliability of the company. Track – Tracking the vehicles carrying your valuables are very important to the customers, and an easy and convenient tracking option like that of a food delivery application really helps them. Rating – Customers, who avail our services, rate it. Based on these ratings, a future customer may come to know about the quality of service he is expecting. The ratings given are unbiased and genuine. So whatever be your requirement, if you need a truck or tempo for rent in Noida, you should get in touch with us at LogisticMart.